Updated CSC Media's Chart Show TV channel is launching on Freeview channel 67 on Thursday 8th May 2014 at 10pm. The channel sharing Freeview bandwidth with sister channel POP, which is on channel 75. Both services are being carried on the signal that is carrying local TV to town and cities across the UK, and are only available on Freeview in locations where local TV has already launched, or will launch later this year. 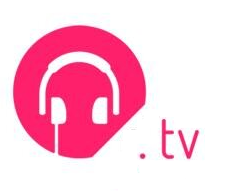 Chart Show TV is also available on Sky channel 365 and Freesat channel 500. Ahead of its Freeview launch, the channel introduced a new look and a new logo (pictured).